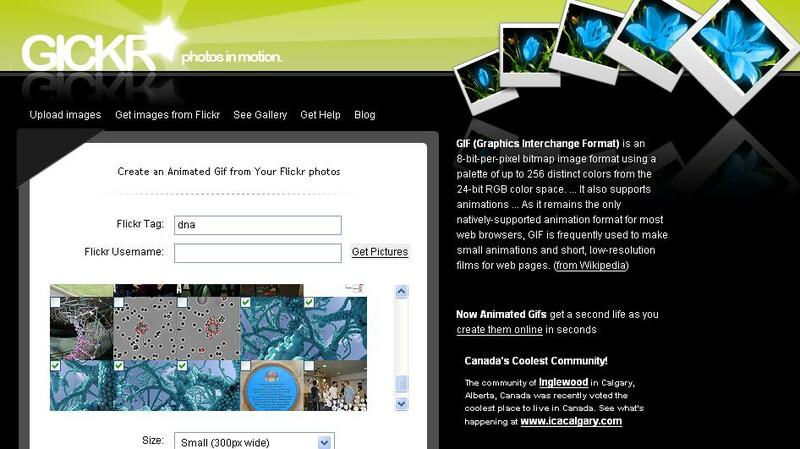 Gickr is a really cool animated GIF creator. All you need to do is enter a Flickr tag or username and check the boxes next to a few pictures. Then choose a speed and size and click next. That's it. You can also upload images to use. 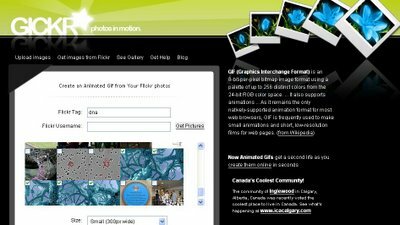 It's very useful if you want to quickly embed a slideshow or animation without using Flash or PowerPoint.